Austin Air Bedroom Machine HM402 Air Purifier features the Austin Air's most advanced 5-stage air filtration system. It ensures that Austin Air Bedroom Machine air purifier provides the most effective removal of all types of air contaminants and air pollutants and delivers the most satisfying quality of sleep. When to Use Austin Air HM402 Bedroom Machine Air Purifier? Austin Air Bedroom Machine HM402 should be used in the bedroom or in any other area where the perfectly clean allergen and toxin-free air is the highest priority. 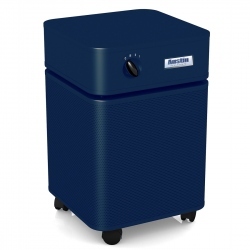 Austin Air Bedroom Machine HM402 employs Large Long lasting True HEPA filter, similar to the one used in Austin Air HealthMate HM400 model, to trap from the air over 99.97% of all microscopic airborne contaminants down to 0.3 micron in size. This allows to ensure high level of protection from all microscopic allergens, lung damaging dust, cigarette smoke, and other solid airborne contaminants. Large Chemical an Odor filter canister is filed with 15 lbs. of Specialty enhanced adsorbent - "Superblend". Along with activated granular carbon it contains special additives such as, Potassium iodide and Zeolite to ensure effective removal of all regular and Specific chemicals, including VOCs, pesticides, cuisine odors, pet odors, formaldehyde and many more. The ability of Austin Air Bedroom Machine to remove chemicals is significantly strengthened by use of a secondary Chemical an Odor filter. It is a Lightweight Cloth-embed dust carbon - HEGA similar to one used in the Austin Air Allergy Machine. In Austin Air Bedroom Machine HM402, as in all other Austin Air air purifiers True HEPA and Activated carbon filters are combined together in One Filter Assembly. 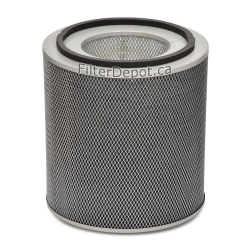 The whole filter assembly needs to be replaced when either True HEPA or Activated carbon filter reaches the end of its lifetime. 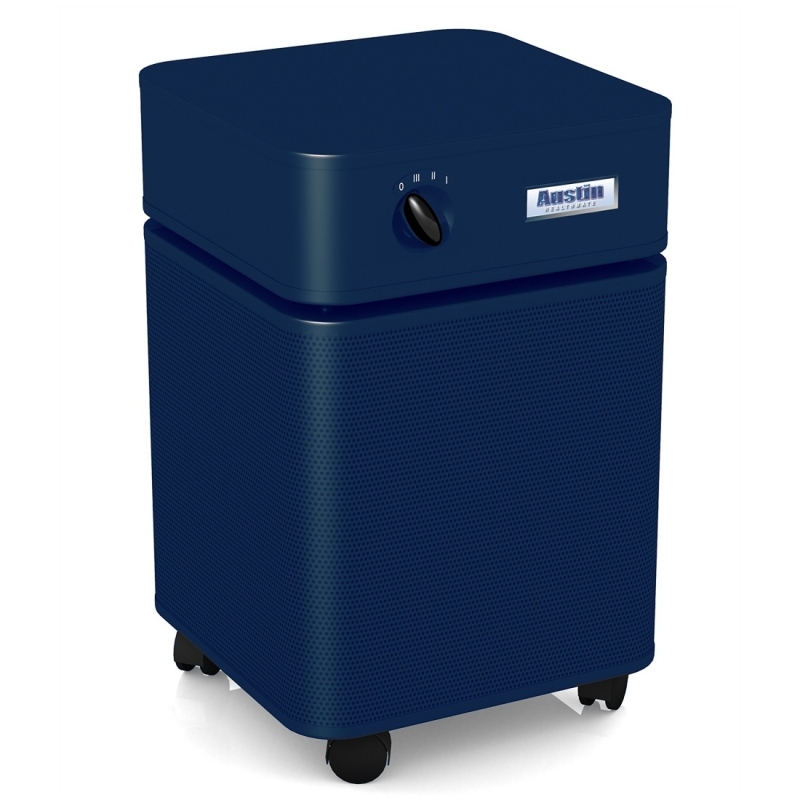 Austin Air Bedroom Machine HM402 employs the same powerful, energy efficient Motor/Fan unit rated at 400 CFM (open air). The 3-Speed control allows the user to set the unit from a "Whisper Quiet" operation on Low during a bedtime. The Medium and High settings reserved for most air cleaning applications during a daytime. The motor is mounted on shock absorbers for the purpose of reducing associated noise and vibration. 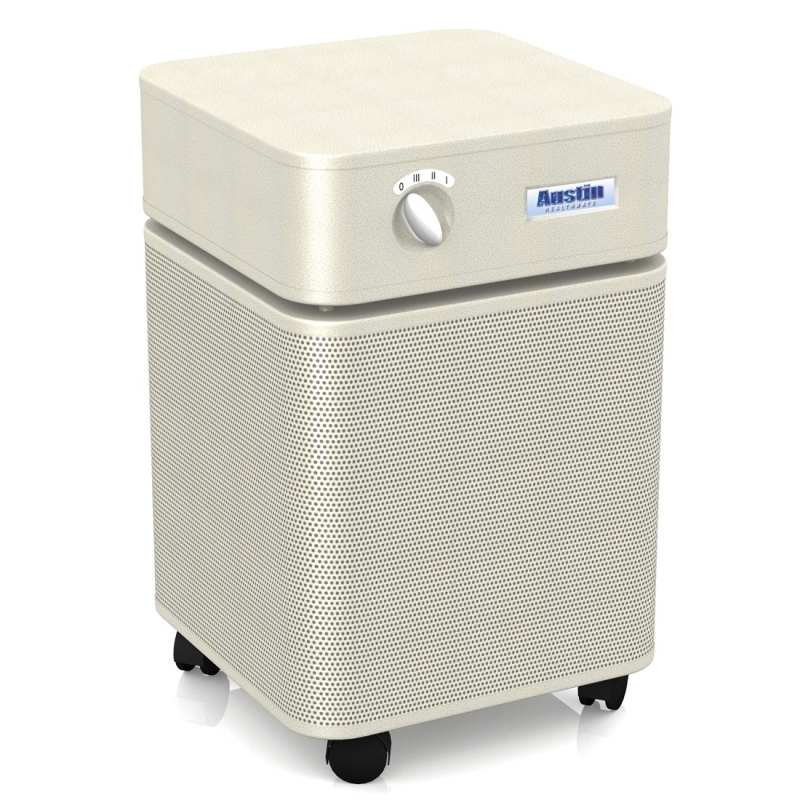 Austin Air Bedroom Machine HM402 air purifier features the same durable impact resistant the all metal housing made out of galvanized steel. The Austin Air Bedroom Machine's clean air outlet at the top deck of the unit is away from dust and dirt on the floor. 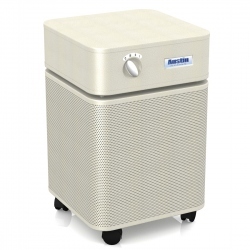 Austin Air Bedroom Machine HM402 air purifier comes with the same comprehensive limited manufacturer's warranty. Austin Air Bedroom Machine HM402 air purifiers are shipped FREE of CHARGE by Ground service to all Canadian and US customer from the closest warehouses located in either country.